Custom Features Galore! This ready to move in 4 bedroom 2 bath home is located in Greenhills Gated Community! Interior boasts of new kitchen with custom maple cabinets and extra features. 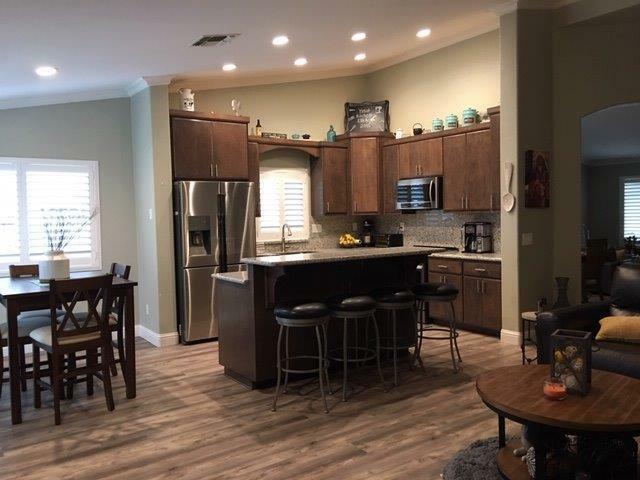 tasteful granite counters, all newer stainless steel appliances, sink and fixtures plus lots of extra features. Flooring is high quality laminate and carpeting. Sliding glass door was replaced and has built in shades and custom window coverings. Outside has extra concrete, storage shed and fresh new landscaping with sprinkler system. The 2 car garage has automatic opener, built-in cabinets and a laundry sink. There may be an improvement bond paid with the yearly property taxes. Bed and bath count are different than tax records.. Buyer to verify if important. 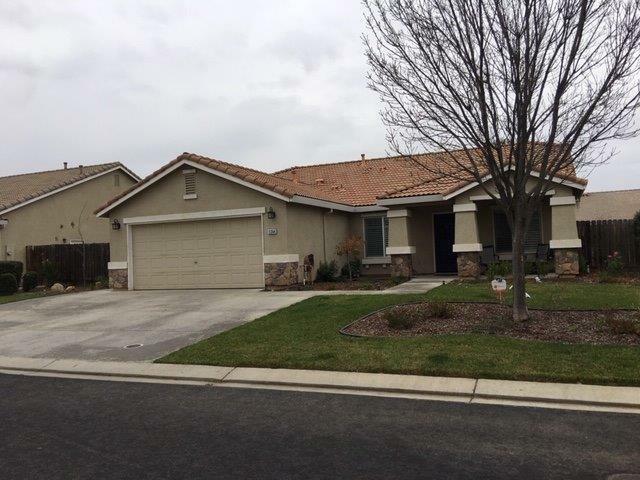 Listing provided courtesy of Jeanne Meyer of London Properties, Chowchilla.